[toc]Apart from body and skin, hair is another of the aspects that not only has an important function to perform but also affects the aesthetic value of a person to a great extent. If you want to have a flawless appearance and personality you need to maintain the hair well. This is only possible when you have a healthy and problem free scalp. According to researchers, there are a lot of scalp crisis that a person might have to go through. 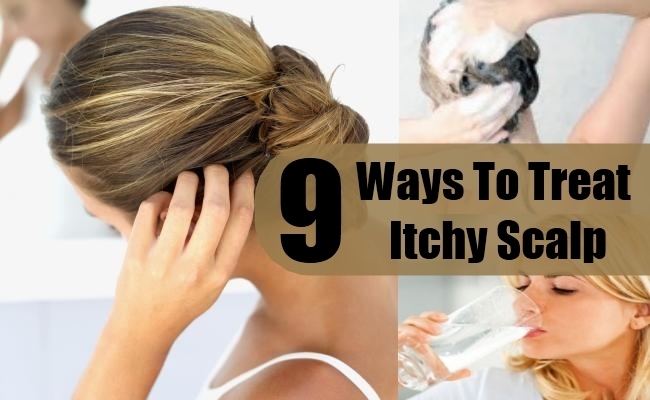 Among them dandruff is one of them that usually happens because of dry or oily scalp.You can also say that itchy scalp is one of the many commonly occurring issues that millions of people complain about.To treat itchy scalp you will have to put in some efforts. Hair and scalp like skin needs proper cleansing that helps in the removal of dirt, toxins and extra sebum. 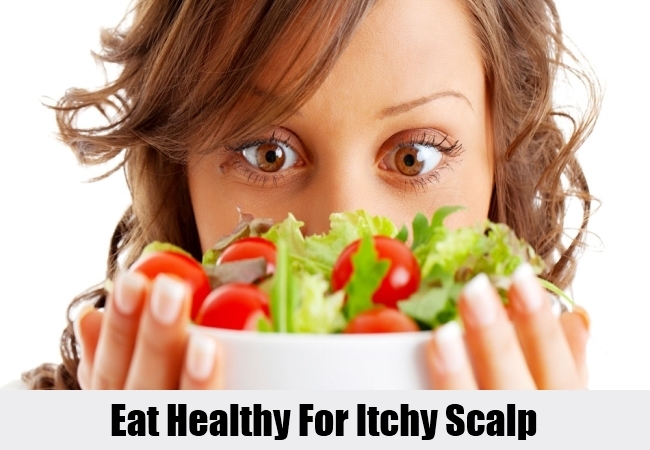 This prevents the accumulation of bacteria in the scalp that basically leads to itching. Make sure that the hair is cleaned with a good quality shampoo that suits your hair type perfectly. Specialized shampoos for treatment of specific problems are also available including that for itchy scalp. This should be done at least three times in a week for perfect results for treatment of itchy scalp. Changing the shampoo and conditioner that you are using from so long will help you in cleansing the left over residues of the old product. 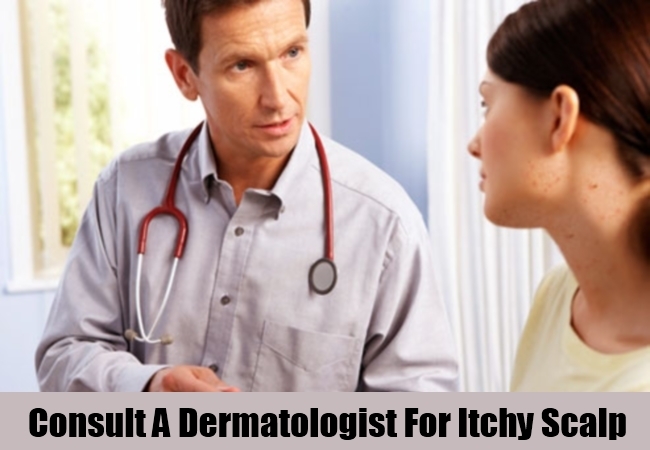 This is one of the best ways in which the product build up can be removed that is known to cause itchiness. Make sure you choose a good quality and a product that suits the hair just fine. Try and stay away from ones that have loads of chemicals in it. This might just worsen the condition. One of the best ways to treat an itchy scalp is to dilute some good quality apple cider vinegar with water and use it on the hair. 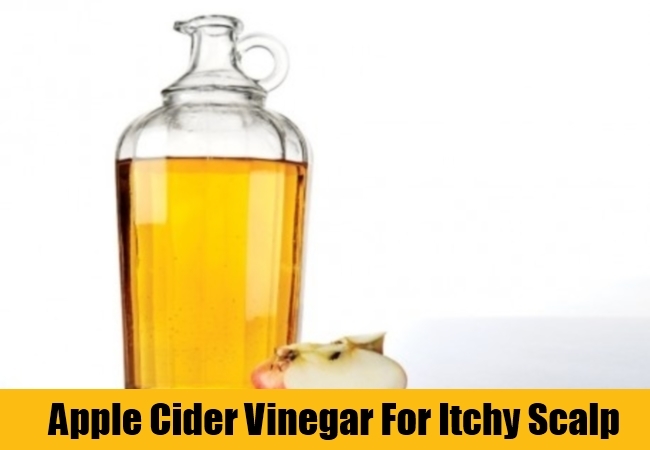 Apple cider vinegar has innumerable benefits and one of them is the anti bacterial property. 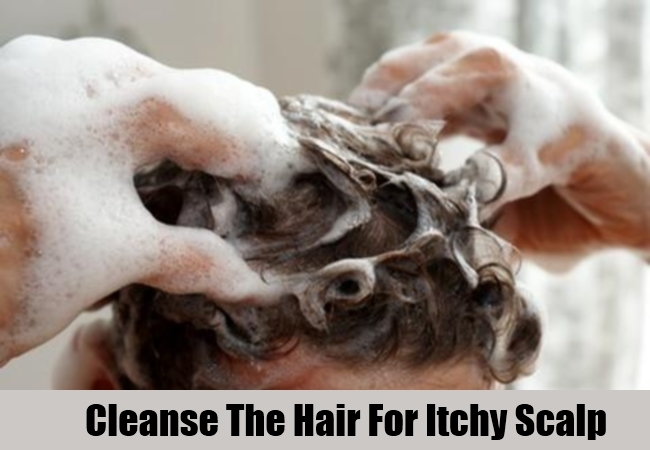 This helps in flushing out the bacteria from the scalp that has accumulated and caused itching. 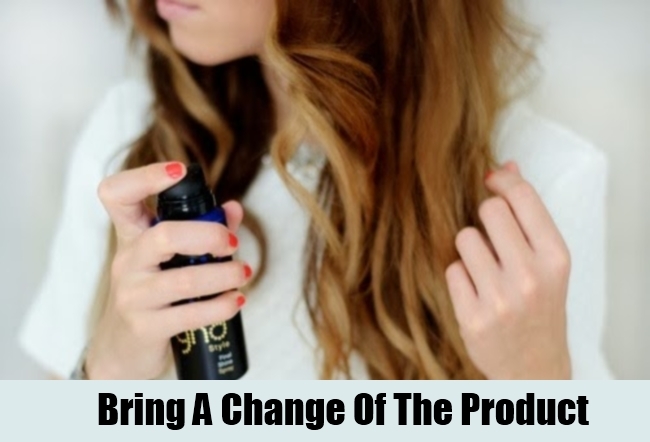 It also has clarifying agents that cleans the hair thoroughly. Fungal conditions like yeast formation on the scalp can also be treated with this. The acidic nature is not something that lets the yeast survive on the scalp. Dilute it well so that it is comfortable on the scalp or else it might have a severe stinging sensation. This can be done once a week for perfect outcomes. You can either mix the tea tree oil with carrier oil or else use products that have this natural product. The anti fungal, anti bacterial, antiseptic and anti viral properties of the oil is perfect in a situation where you are experiencing itchy scalp due to dirt and bacteria accumulation. The scalp irritations can be easily treated if you use it with carrier oil at least once in a week. Water is one of the ways to flush out the dirt and oil accumulation not only from the skin and the body but also from the hair and the scalp. Herein, it is highly recommended that you adhere to at least 8 glasses of water each day to get perfect results. This is an easy and simple ways to achieve your goals. Apart from that you can also have fresh fruit and sugar free juices and herbal teas to fasten the process further. You will be able to see the results in only a couple of days with this tip and treatment process. 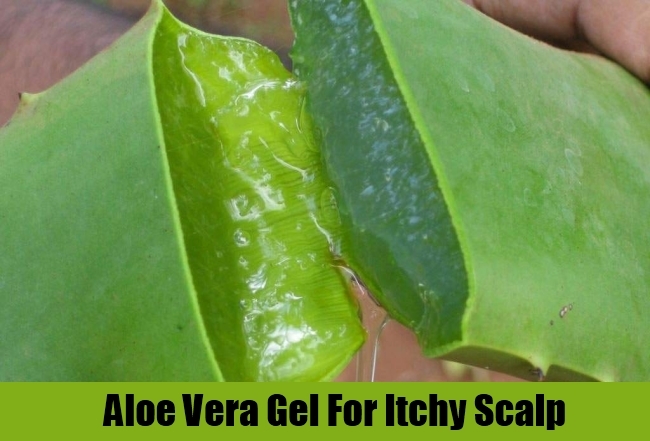 Take some natural Aloe Vera gel extract from the plant and gently massage it on to the scalp. 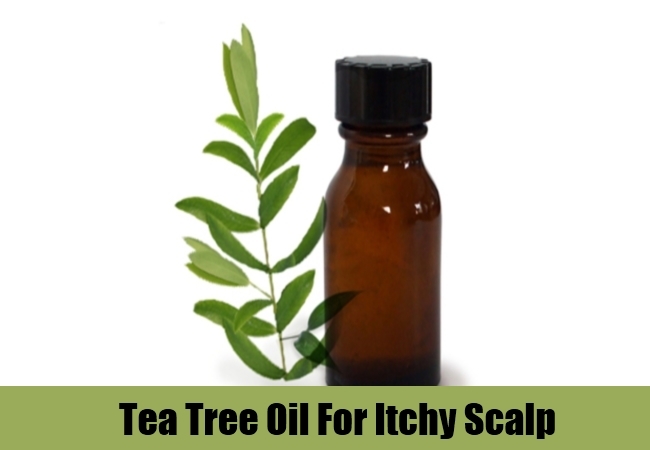 This remedy is definitely going to soothe the scalp and reduce the itching to a tolerable level. It is one of the safe remedies that a lot of people adhere to. This should be kept for about 30-45 minutes and then rinsed properly. Make sure you follow the method at least once in a week to get the itchy scalp treated. To ensure that the scalp skin stays healthy, it is advisable that one adheres to vitamin E supplements. This is one of the perfect ways to keep the skin hydrated which is also applicable for the scalp. The method should be followed with a strict routine. However, make sure that you take advice from a professional for the right dosage of the capsules for perfect outcomes that you will love. For prolonged persistence of itchy scalp, it is always advisable to consult a dermatologist as there might be a serious reason why you are having the problem even after continuous safe and well researched method application. The doctor will do a thorough check up and find the problem associated with so much itchiness on the scalp. 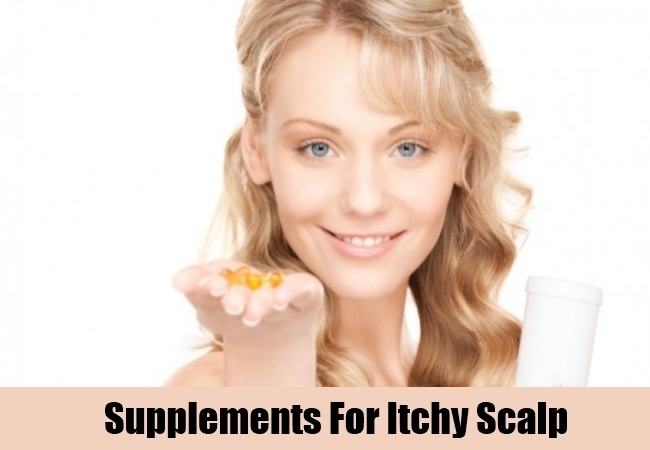 They might even suggest some over the counter medications and ointments that might help you in treating the oiliness and bacteria growth on the scalp and thus treat itchiness. Finally, you have to understand that without a healthy and nutritious diet you can never have problem free hair, skin and body. This means that you should include loads of nutrients in the meals in the form of fresh and seasonal fruits and vegetables, nuts and whole grains, make sure you take all the different kinds of nutrients ranging from protein to calcium and vitamins to minerals. Antioxidant rich foods will be really helpful in keeping the skin free from any crisis including itchiness.